I love easy recipes, especially if I can use leftovers. Shepherd's pie is no exception. 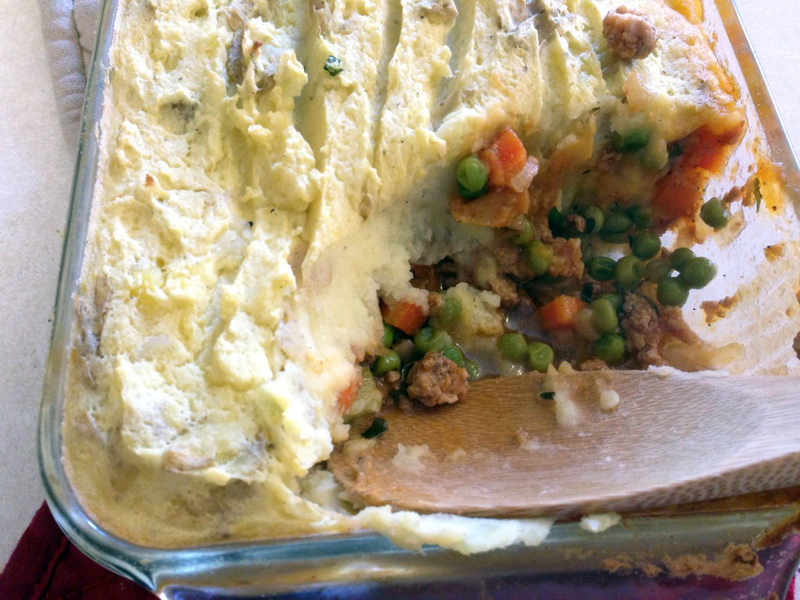 If you have ground meat and leftover mashed potatoes, you are just a few steps away from a delicious, filling dinner the whole family will love. 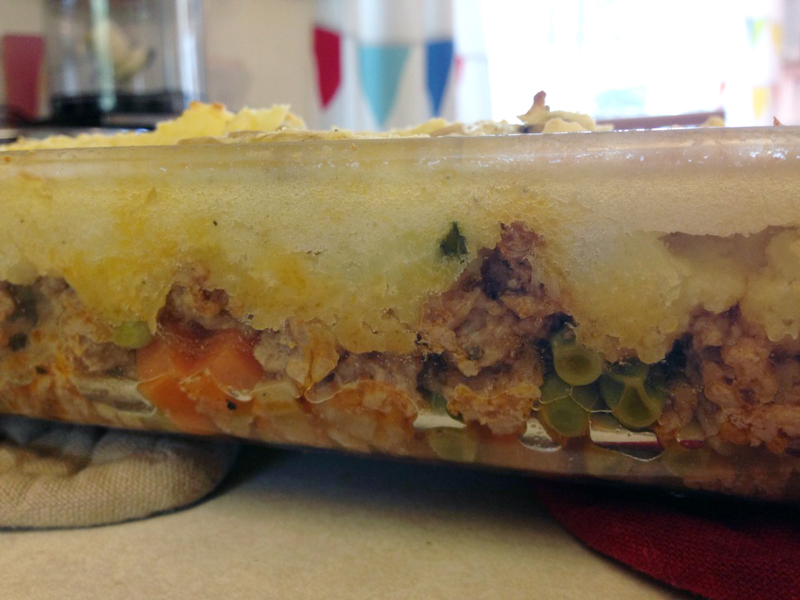 Shepherd's pie is versatile. Throw in whatever veggies you love. Use whatever meat you prefer. Season your mashed potatoes to your liking with milk, butter, salt and pepper. Heat up in the microwave if cold. Stir in the egg yolk. This makes the pie have a nice crust. Preheat oven to 375. In a sauté pan, heat some oil and add the meat, onion and carrot. Season with salt and pepper. Cook till meat is browned, about 10 minutes. Drain fat and add stock, tomato paste, herbs and a swig of red wine or Worcestershire sauce. Heck, I bet soy sauce would even make it pretty good. Let simmer for 10 minutes. Stir in the peas. Grease a casserole dish and add the meat filling. Top with dollops of mashed potatoes. Spread the potatoes across the top, trying to create a seal around the edges. I recommend putting a cookie sheet under the dish when you bake it in case anything bubbles over. Bake for 30 minutes and let cool for a few minutes before serving.